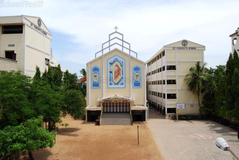 Find below the list of top IGCSE / Cambridge schools in Sholinganallur - Chennai with phone number, address, 360° School tours, 2018-19 Admission forms & Fees, photos, facilities & more. Institution is to be recognized as a dedicated institution aiming to achieve academic success that fosters continued learning, economic empowerment, entrepreneurial development and skilled enhancement. SJPS is the conceptual school born with a difference to experiment tested qualitative institutional practices; expose the real institutional values and to enrich dynamism in the constituents of a good school. Kangaroo Kids Pre-Schools and Primary Schools were created to fire the imagination of children from a young age. The goal was to create fun and rewarding learning experiences that would last children the rest of their learning lives. We are very excited to move forward in our journey with Billabong High. Our school is an atmosphere where each child discovers his own special talent and begins to believe in himself. At BVM, besides ensuring academic proficiency, the school also works towards proper physical, psychological, social and cultural growth of the students. Students imbibe not only the knowledge reflected in their studies but also a self-confidence that is reflected throughout their lives. All this is enabled by highly qualified teachers and backed by an amazing International curriculum. Vision: • Carefully nurture the future leaders and global citizens ready to face the challenges of the emerging modern day world. • Evolution through value - enriched curriculum that addresses and balances the physical, intelligence and emotional quotient of the student in a holistic manner. Mission: • Is to inspire our Learners to be happy, healthy & responsible global citizens and to attract & retain exceptional talent. Sacred Heart Educational Group was founded by Honourable Chairman Dr. Rex AbrahamM.A., M.Ed., and Ph.D. who is a third generation educationist.Through his continual efforts to revolutionize the education –Sacred Heart has been the booming ground for many young leaders. 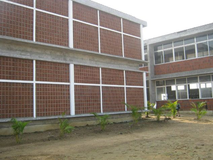 Spread across 1.5 acres on a lush land with shrubs and trees adding beauty is situated theSacred Heart Global School. It has a widespread playing field, a swimming pool. The rich and vibrant experience at Sacred Heart Global School provides children well-balanced academic and social well-being. Since its founding in 2015, Sacred Heart School has continued to grow in all possible directions of academics not leaving behind the cultural and sporting achievements. 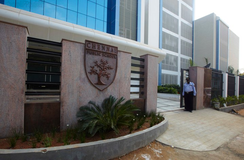 This co-educational CBSE School has aided in elevating children to high levels. Bharathi Vidyalaya was formally inaugurated on the 6th June 1995 by the Mahasannidhanam of Sringeri Peetam, Sri Bharathi Thirtha Mahaswamigal who blessed the school at its very inception. Starting with Primary classes and Class VI, the school grew with one new higher class every year. 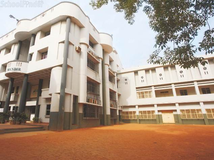 The permanent building of the school in its own campus on Medavakkam High Road was ready for occupation even from its very inception. The spacious campus is presided over by a temple dedicated to the Trinity, Lord Ganesha, the Auspicious beginner, the Goddess Sri Sarada Devi of Sringeri and Lord Anjaneya. Neem trees and flowering shrubs line the borders of the campus. 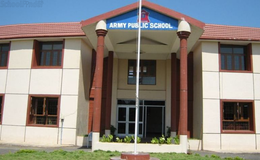 The P.S Ganapathi Block came up in the year 2000, adjacent to the original buildings of Sringeri Saradambal Block. It has spacious classrooms, well-equipped laboratories, and a well-furnished library. Although there are many top IGCSE / Cambridge schools in Sholinganallur - Chennai it is not necessary that each one is suited to your child's needs. That is why you need to analyze and consider every factor about the best IGCSE / Cambridge schools in Sholinganallur - Chennai before settling for one. 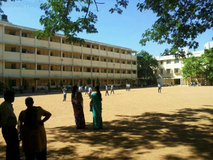 Sqoolz's list of best IGCSE / Cambridge schools in Sholinganallur - Chennai makes this job easier for you. Find every detail that is necessary before choosing the right school. You can also take our virtual tour, a feature solely designed to give parents a sense of assurance.